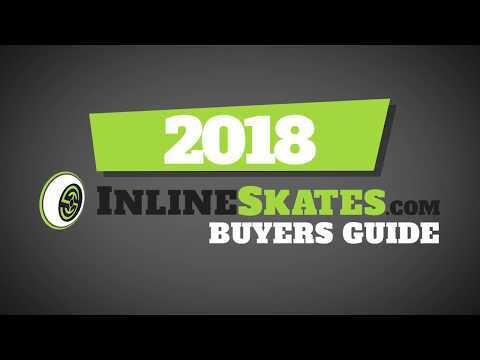 If you love skating and can't wait to hit the trails on those beautiful summer weekends then you'll love these Rollerblade Zetrablade Inline Skates. Featuring 80mm Rollerblade Wheels, you'll find that you have greater traction, better shock absorption and amazing grip as you roll through the park. The Performance Training 5 Star Liner is supportive and comfortable giving you breathability so your feet don't get soggy with sweat. The Zetrablade Shell is supportive and the Monocoque Composite Frame offers both stability and great energy transfer through its performance design. 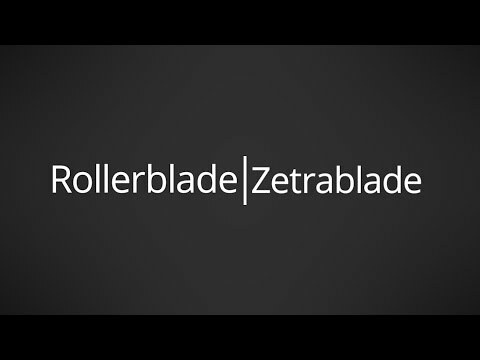 If you're a beginner looking to advance and you want a skate that is comfortable and built for progression then you'll want to check out these Rollerblade Zetrablade Inline Skates. Q: hey a few questions here...- is it possible to change the color of the skates? i like the red, i just would like more red in it. -are they for woman only or they can be used for men too? -Sometimes im a different size in shoes, between 8 and 9, what should i choose? -last... i live in an island (puerto rico), do you ship here? Thank you! A: We don't have the ability to alter the skate's color. This specific model is a women's specific model and is sized in US women's sizing. Women's specific skates are slightly narrower to accommodate a woman's footshape, and also have a lower cuff in the back to accommodate a woman's lower calf muscle. We do have this same model, the Zetrablade, in stock in men's and women's specific styles. Search "zetrablade" in the top site search bar to view the men's and women's models of this skate. We do ship to Puerto Rico, please view shipping information in rates by putting your address in at checkout after adding the desired items to your cart. Q: Is there a sizing chart for this or anything? I'm a size 9.5 in women for some shoes brands but when it come to skates I'm a 7. Do you guys have any recommendations on what size I should get? A: There is a link to the size chart directly underneath the skates sizes listed on this page. Inline skates are going to fit similar to your everyday shoe size so if you wear a size 9.5 in your daily shoe size that is the size you will take in an inline skate. If you fluctuate in size you can measure your foot and then correlate that measurement with the size chart found on this page. Q: Does this Rollerblade come in size 11? I am having trouble finding a womens size 11. Q: do you know the weight of this skates? A: Size 8 is 1390 grams, weight will vary slightly from size to size. Q: These only appear to come in whole sizes. I wear a 6.5 women's shoe. Would you recommend going up or down in size? A: The size 7.0 would be the safe bet and as these are beginner-intermediate skates they are set up for comfort instead of performance so if you have a tiny bit of extra room it won't be the end of the world since there is a generous amount of padding. In a high performance boot where there is less padding and more of a formed fit a tight fit is more important and I would advise going the other way in that instance. If you wanted a true 6.5 we do currently have in stock the K2 Alexis 80 women's inline skates in that size.